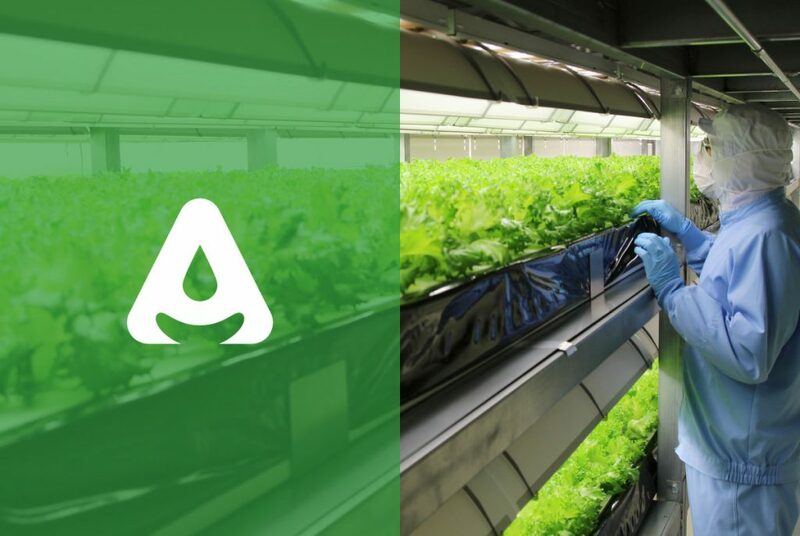 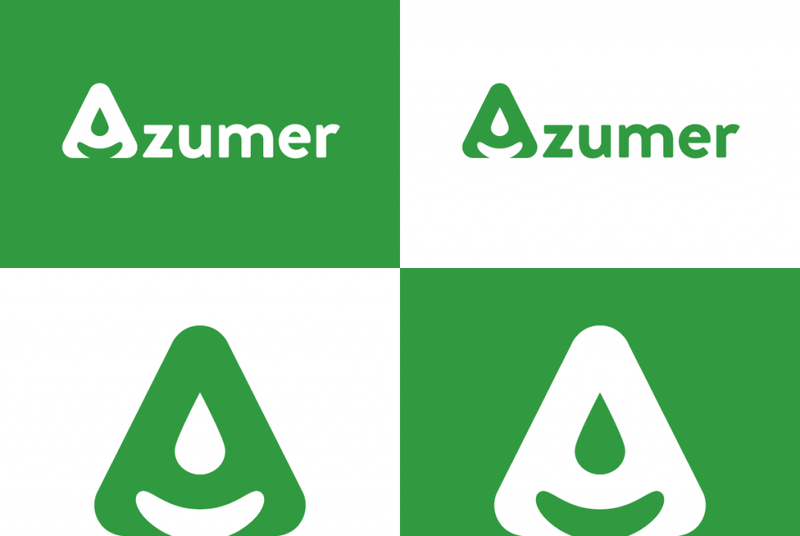 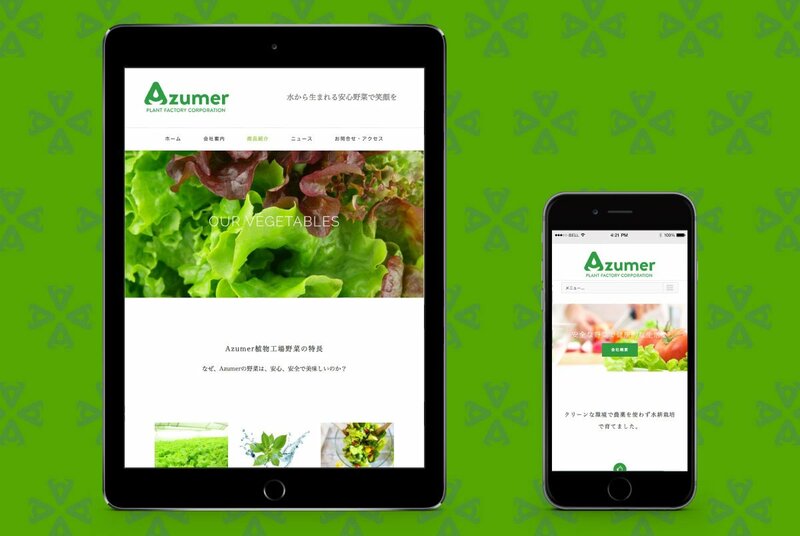 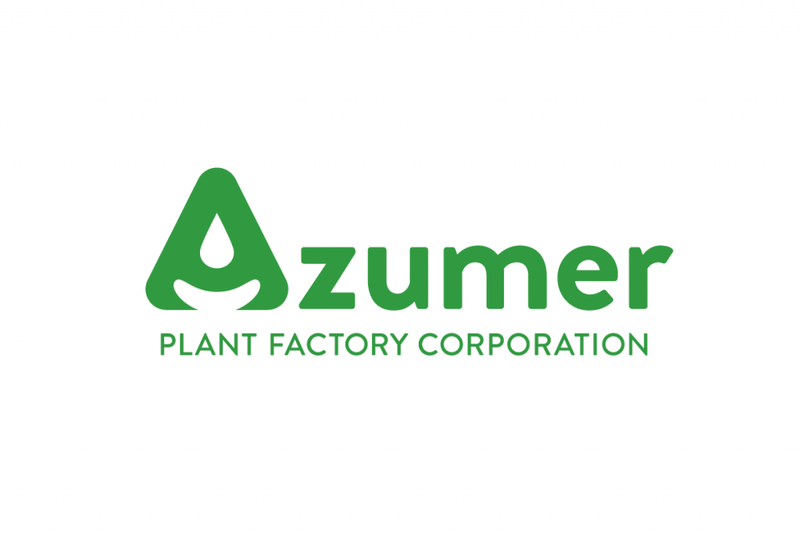 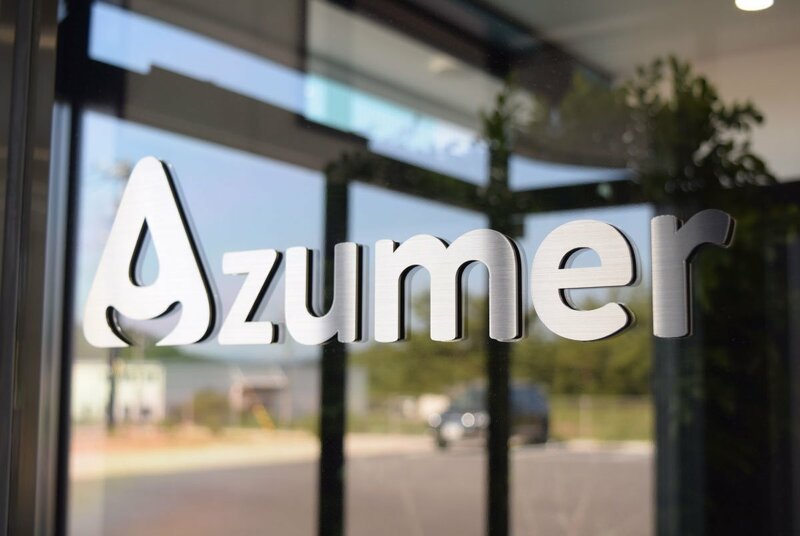 The Azumer Plant Factory Corporation, which cultivates and sells vegetables by fully pesticide-free hydroponic cultivation in an indoor factory, needed a corporate identity that increases corporate value, as well as branding design that can be expanded into packages to increase added value to consumers. 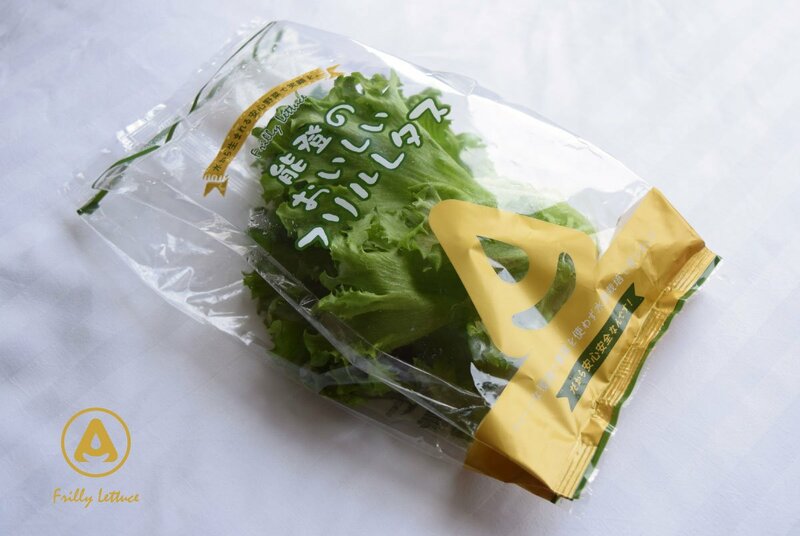 Compared to open-field cultivation, indoor vegetable factories have low recognition. 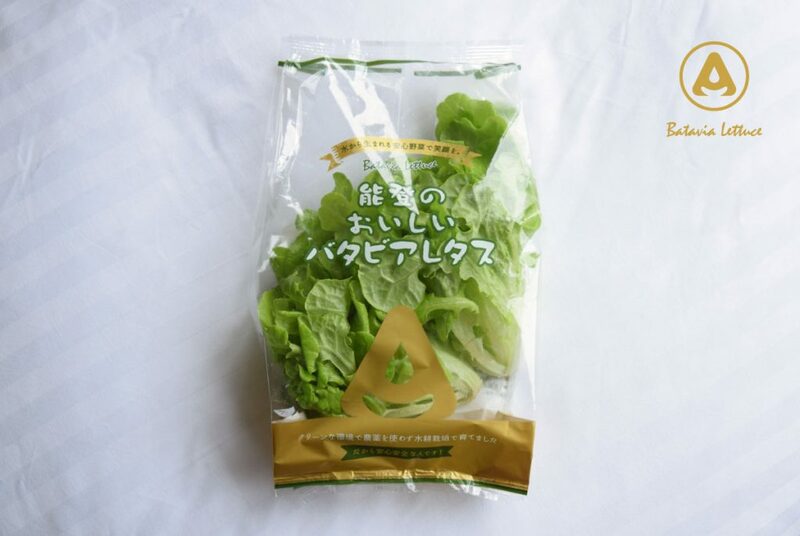 They wanted to develop the image that there are a lot of merits to the consumer, such as the safety of their vegetables because of a pesticide-free and stable supply unaffected by the climate. 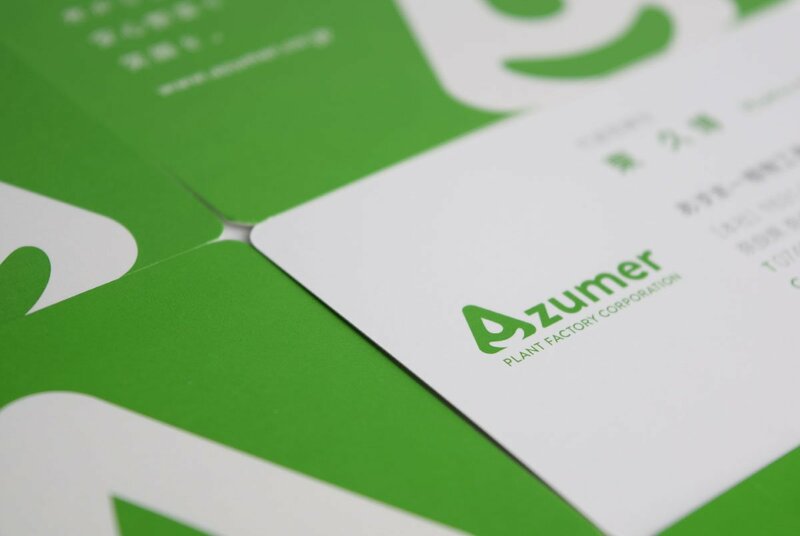 By developing a unique visual identity with a logo that incorporates the company's philosophy, we were able to spread brand awareness. 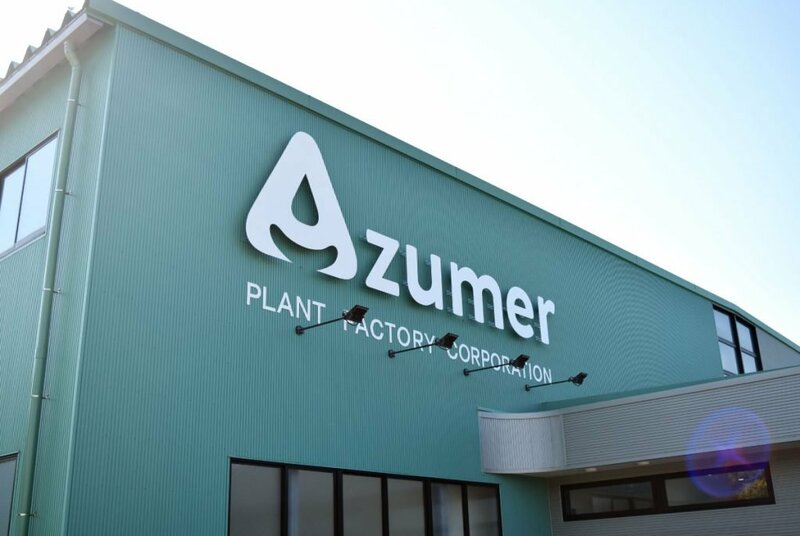 The company's product sales were off to a good start. 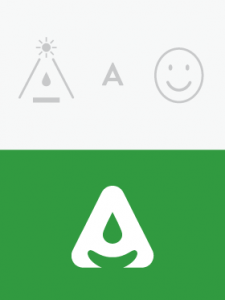 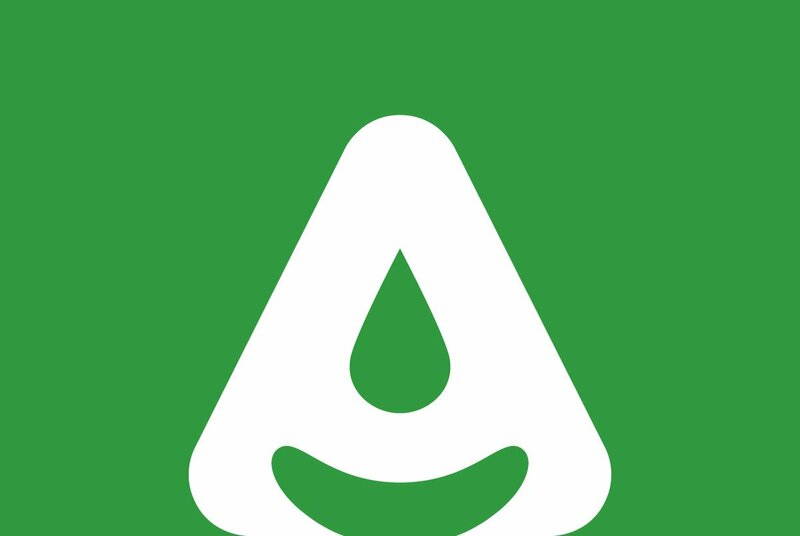 The logo design motif of a triangle (representing light from above) and water represents hydroponic cultivation. The whole form “A” is the initial of the company name Azuma, and at the same time it’s a symbol that looks like a person’s smile. 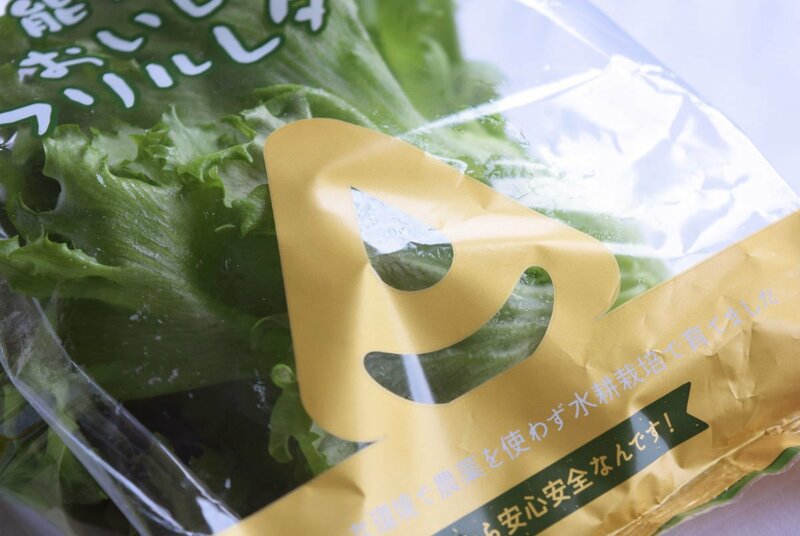 The company’s vision is to “deliver smiles to people by eating safe and secure vegetables”. 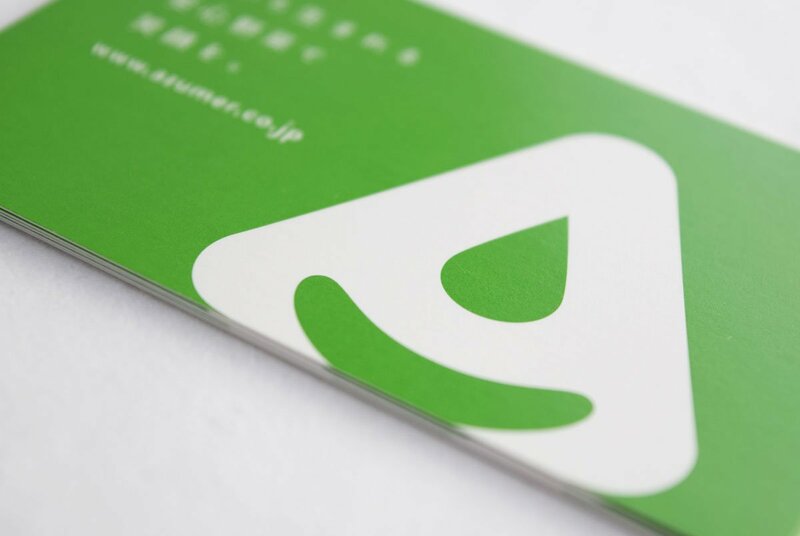 The rounded design of the mark gives a kind and gentle feeling. 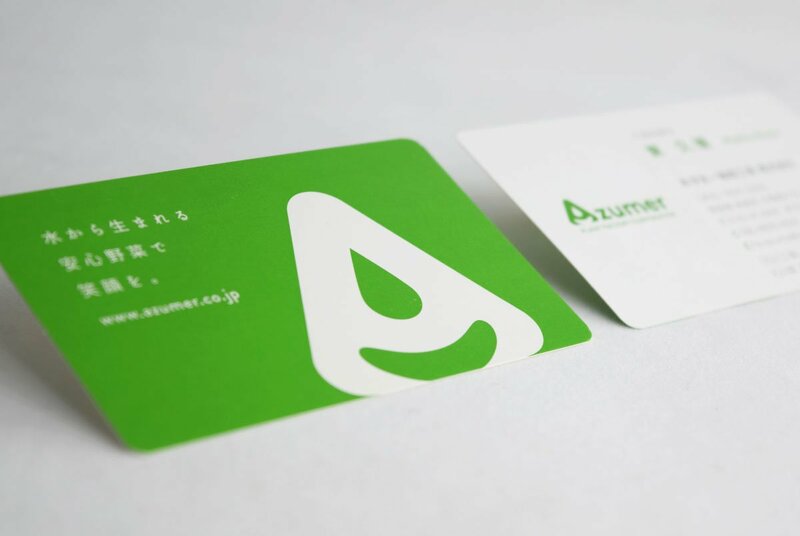 The packaging which contain the unique “A” when displayed in stores, gives a high quality image for a safe, secure, and quality product. 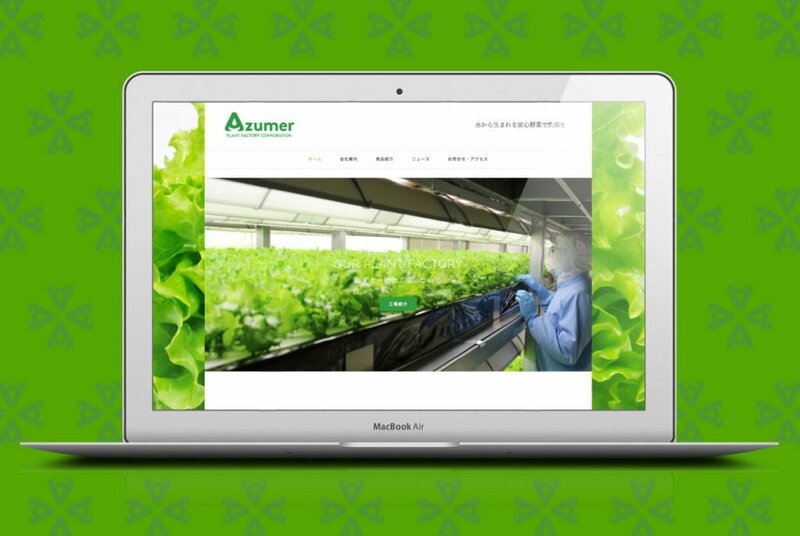 From logo, signage, website, printed materials, we developed a total visual branding which helped lead the company to starting success.